Here's one of the classic coincidence or synchronicity story examples. It involves the British King Edward VII. Edward VII liked to think of himself as a bit of a sportsman and especially indulged in fox hunting with horses and dogs - something of which I personally disapprove. Before he became King, and was the Prince of Wales, he was seen on various hunts and often with an actor called Edward A Sothern. To show his friendship with Sothern the Prince, as he was then, gave him a gold matchbox to affix to his watch chain. The actor always carried this with him. One day when Sothern was out on a hunt he was unsaddled from his horse and the gold box was lost, despite several searches. As he couldn't find the matchbox he had a duplicate made, at his own expense. This he later gave to his son, Lytton Sothern, who was also an actor. Lytton later gave this duplicate box to a friend called Labertouche. Hope you are still following this! 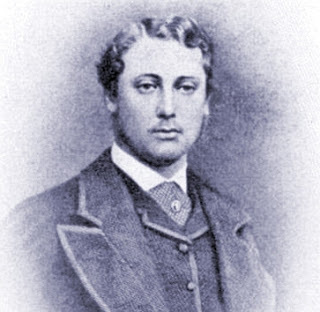 Many years later, Lytton's brother George, who also enjoyed fox hunting, was on a hunt. Afterwards the farmer, whose land he had ridden across, presented George with the gold matchbox - he had found it that very morning when plowing a field. This was some 20 years after it had been lost. George thought recovering the box in this way was very striking - and not just because it was a matchbox! So much so he wrote to his brother Lytton and another brother about the incident - who happened to be travelling in America at the time. When the letter from George was being read the actors were travelling on a train with another actor, Arthur Lawrence. They repeated the story to Lawrence. To their astonishment Lawrence got out his a watch chain in front of them and on it was the duplicate golden matchbox given to him by Mr. Labertouche. Okay, a bit of an involved story but quite a coincidence. A many layered synchro! I'd never heard this one. I love stories that cross time and miles. It was a huge synchro for Arthur Lawrence that day!